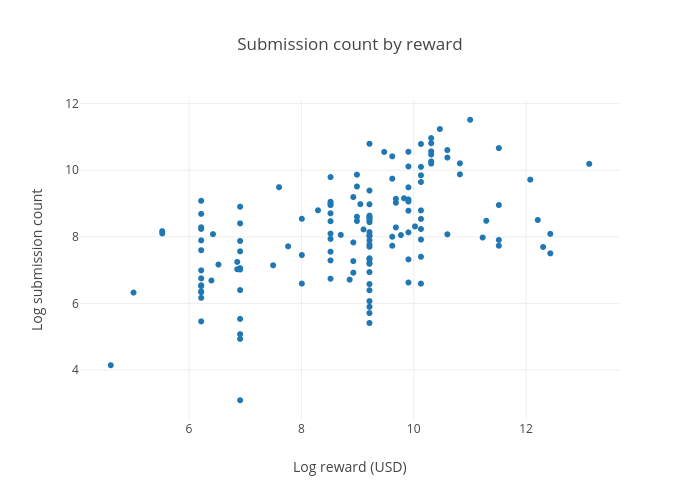 Ryantlee9's interactive graph and data of "Submission count by reward" is a scatter chart; with Log reward (USD) in the x-axis and Log submission count in the y-axis.. The x-axis shows values from 4.10036328114925 to 13.627170282243169. The y-axis shows values from 2.558765518627829 to 12.047180442084343.